It’s finally here: Tulsa’s world-class jazz club! 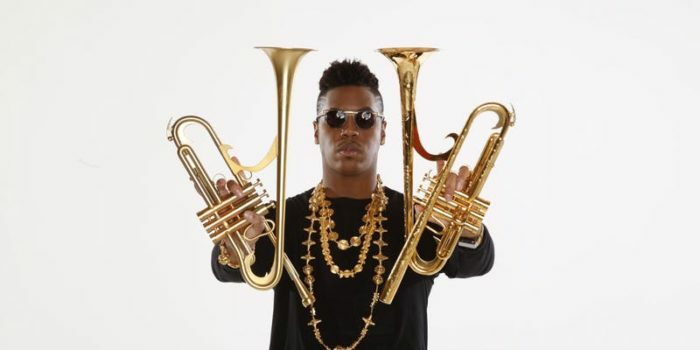 Join us for the grand opening, featuring two shows by New Orleans native Christian Scott, also known as Christian Scott aTunde Adjuah, a two-time Edison Award winning and Grammy Award nominated trumpeter, composer and producer. His musical tutelage began under the direction of his uncle, legendary sax innovator Donald Harrison, Jr., at age 13. After graduating from the New Orleans Center for Creative Arts in 2001, Scott received a full scholarship to Berklee College of Music. He has released 14 critically acclaimed albums and has been heralded by JazzTimes Magazine as “Jazz’s young style God.” He is known for developing the harmonic convention known as the “forecasting cell” and for his use of an un-voiced tone in his playing, emphasizing breath over vibration at the mouthpiece. Scott calls it his “whisper technique.” He is also the progenitor of “Stretch Music,” a jazz rooted, genre-blind form that attempts to “stretch” jazz’s rhythmic, melodic and harmonic conventions to encompass as many other musical forms, languages and cultures as possible. In addition to his solo efforts, Scott has worked with Prince, Radiohead’s Thom Yorke, McCoy Tyner, Marcus Miller, Eddie Palmieri, as well as rappers Mos Def, Talib Kweli, and Vic Mensa.